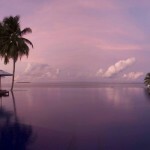 Conrad Maldives Rangali Island is simply premium luxury at its best. 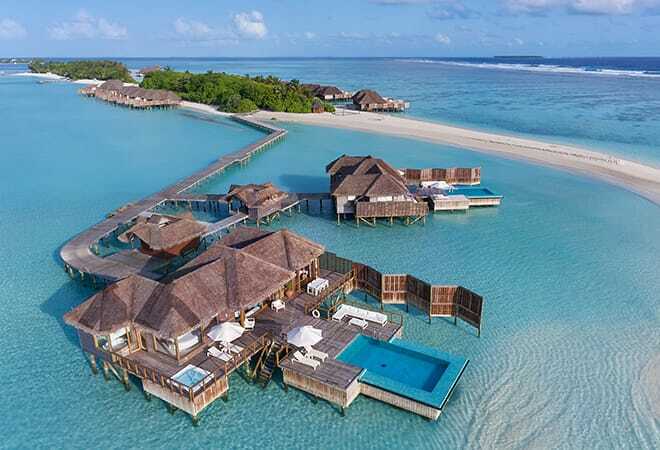 Located only 25 minutes by seaplane from Malé, this sensational five-star resort is spread over two stunning islands and surrounded by spectacular coral reefs. 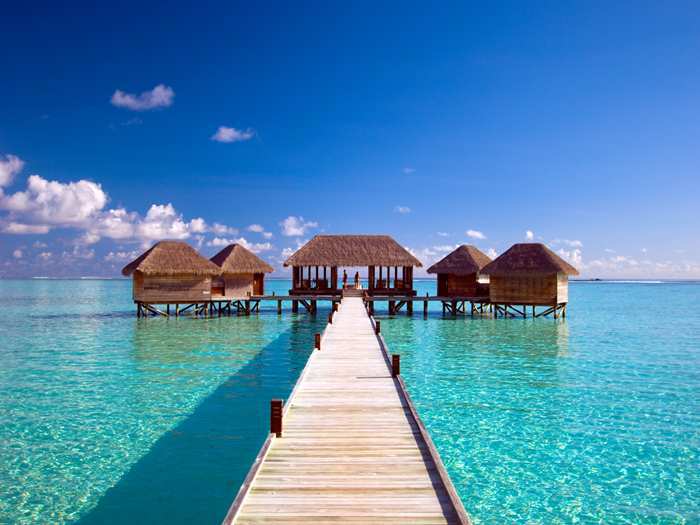 Boasting fabulous villas standing proudly on stilts with glistening waters of the Indian Ocean lapping against them, it’s an indulgent place to spend your Maldives holiday. This resort is the birth place of the world’s first underwater restaurant – a dinner at Ithaa is one you will never forget… With a fantastic selection of wines from the unique underwater cellar, a myriad of thrilling watersports and relaxing beach hammocks desperately longing for occupants, Conrad Maldives Rangali Island is one of the most unique resorts in the Maldives paradise. Spoiled with peaceful atmosphere and service that is second to none, you might not want to leave! 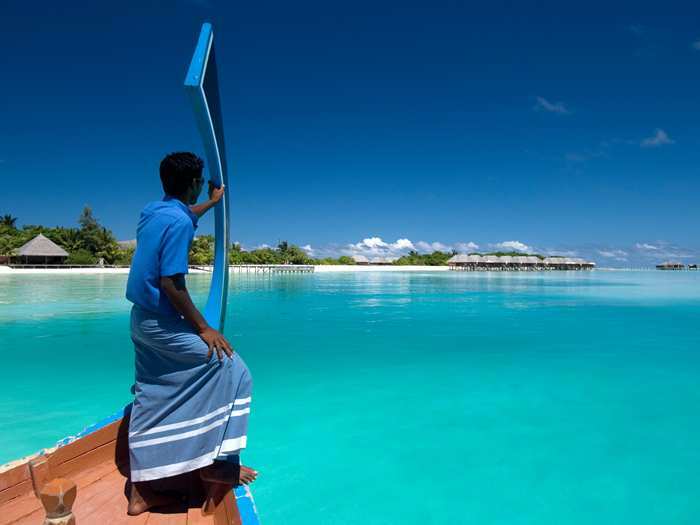 If you are ready for the holiday of a lifetime, Conrad Maldives Rangali Island is ready for you. 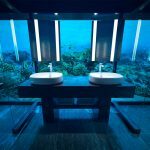 The Muraka residence is a brand new one-of-a-kind masterpiece. This exceptional living space opened its doors to guests at the beginning of November 2018 and the suite has lived to expectations. 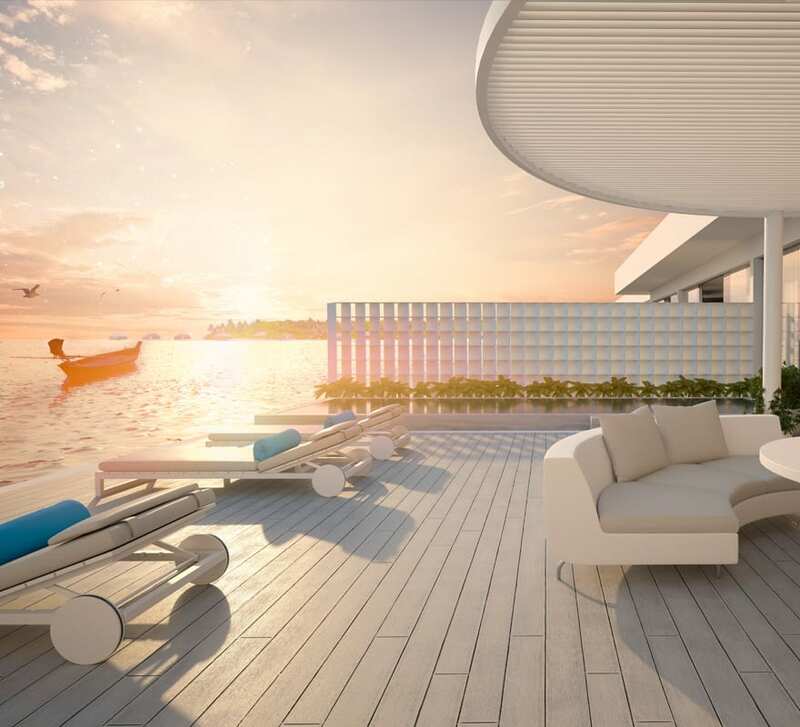 This ultimate indulgence is a multi-storey accommodation which is partially submerged underwater with a bedroom and ensuite that showcases the gorgeous waters and marine life with glass walls and roof. 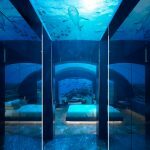 A stay here is beyond surreal, watching the sharks swim above you and seeing the sunrise from under the ocean is just magical. 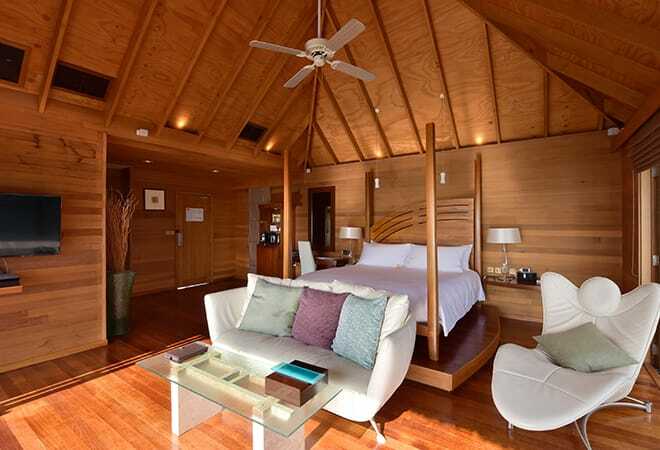 This sublime residence has exciting technology to discover, luxury comforts and thoughtful touches to explore. The residence also has a team of dedicated staff and butler available 24 hours every day to make your stay as seamless as possible. 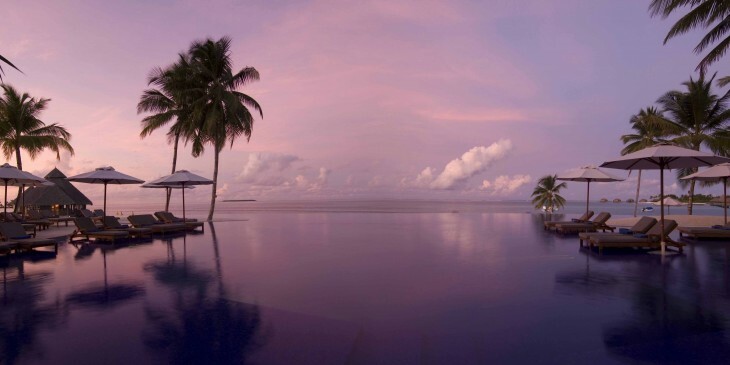 Staying here is a once in a lifetime indulgence that will stay with you forever. The Beach Villas (1600 square feet) are spacious and boasts an amazing ocean-front living and breathtaking views of the seas. Start off the day in your refreshing open-air shower, or relax with an Espresso on your private terrace overlooking the turquoise waters. 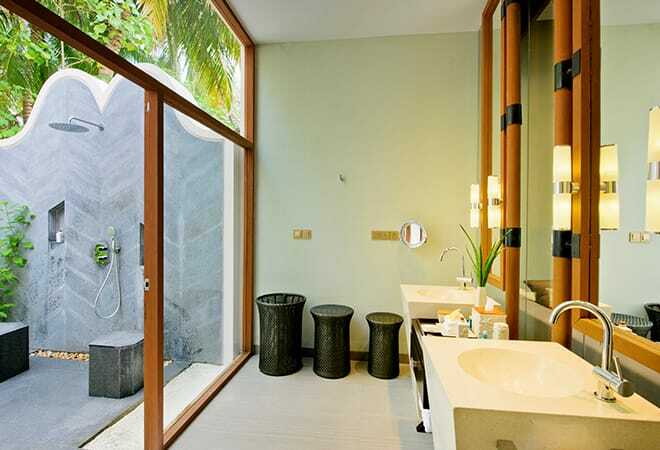 The sensational views are matched with the sheer luxury of the interior, as well as a stylish garden bathroom. 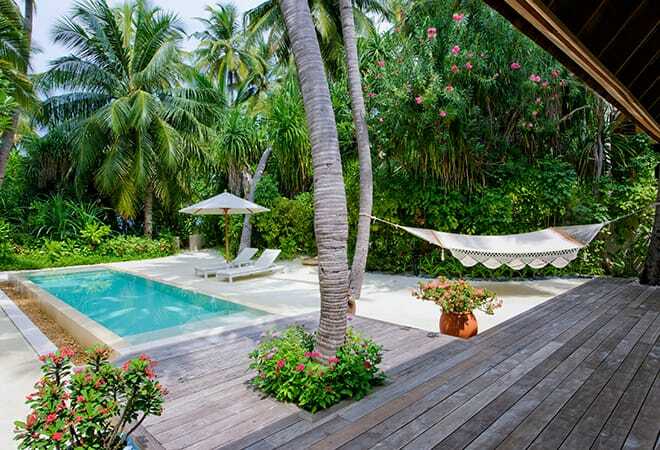 The Beach Villa is located on the main island and accommodates two adults and two children (or three adults and one child). 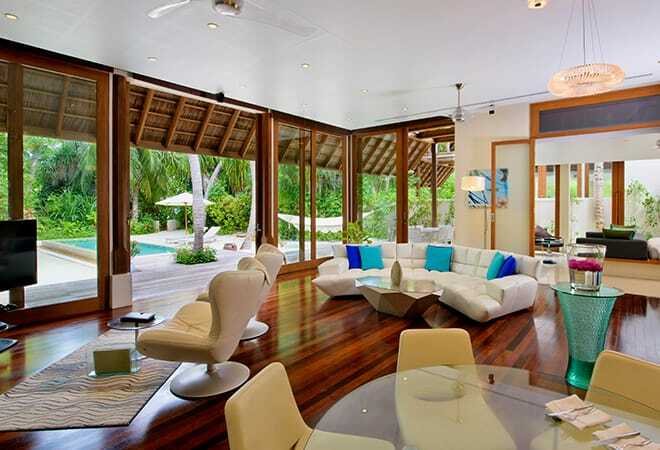 The Deluxe Beach Villa (3230 square feet) on the main island is one of the most spacious accommodations that the Maldives has to offer. 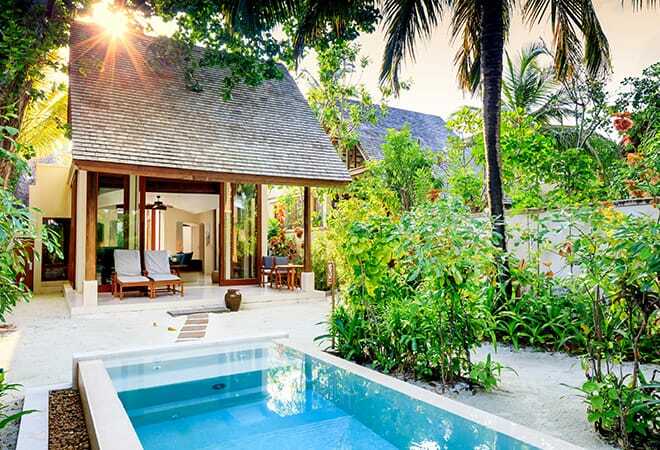 From your very own plunge pool to sweeping landscaped gardens, the Deluxe Beach Villa is all you need in a holiday. 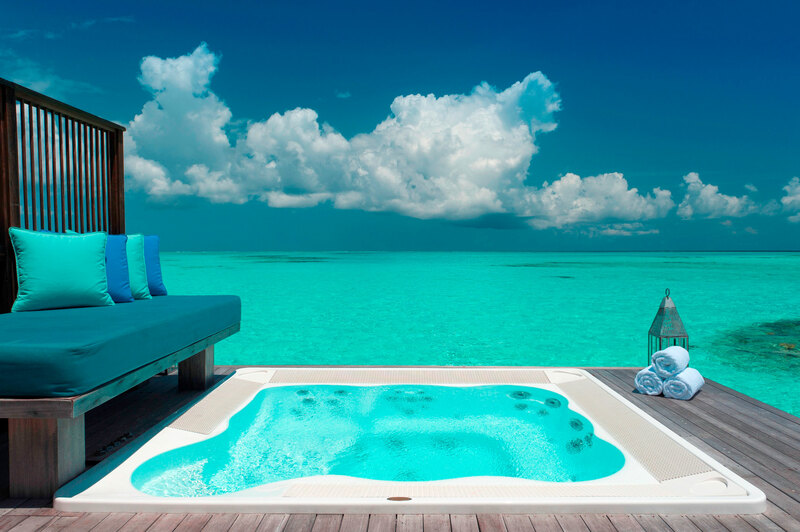 The open-air bath in the actual lagoon adds to the exclusive experience and makes for complete relaxation. 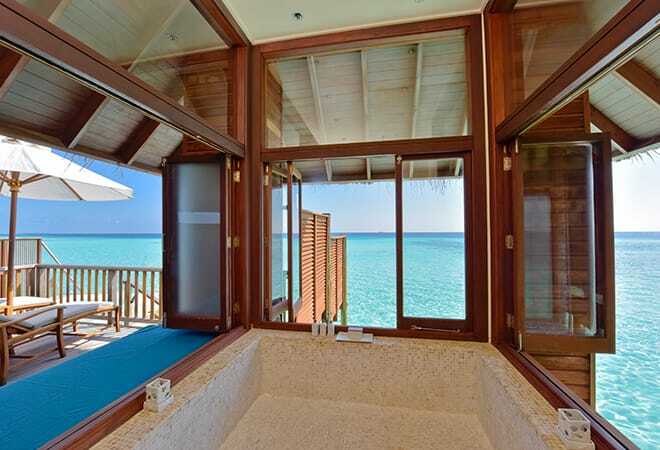 The spacious Beach Suite (7190 square feet) enjoys either sunrise or sunset views, and features two private plunge pools, luxury separate living space, two bathrooms, outside bathing pavilions and a dedicated private island host. This accommodation can house up to six guests. 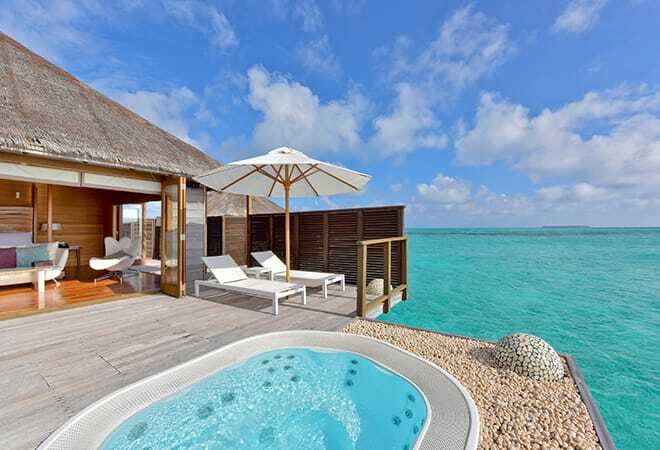 The Water Villa (925 square feet) is standing above the amazing lagoon and offers a private sun-deck with steps directly down to the water. 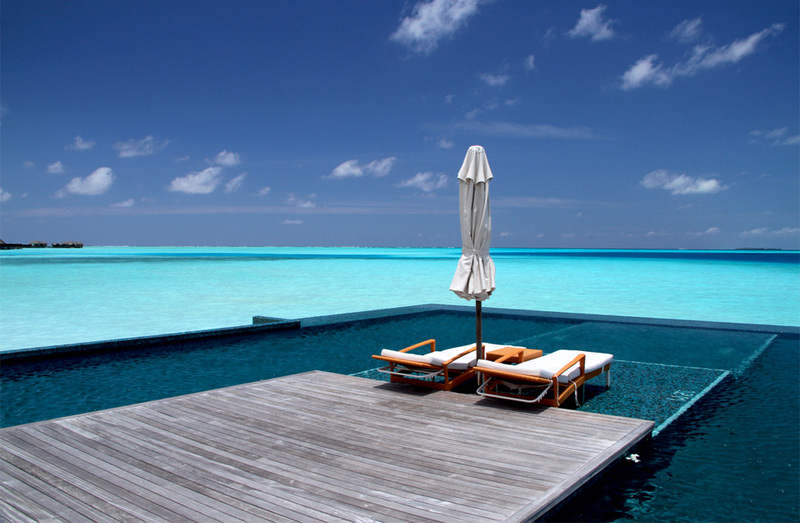 This is the place to relax and take in the gorgeous ocean views from your teak sun-terrace. 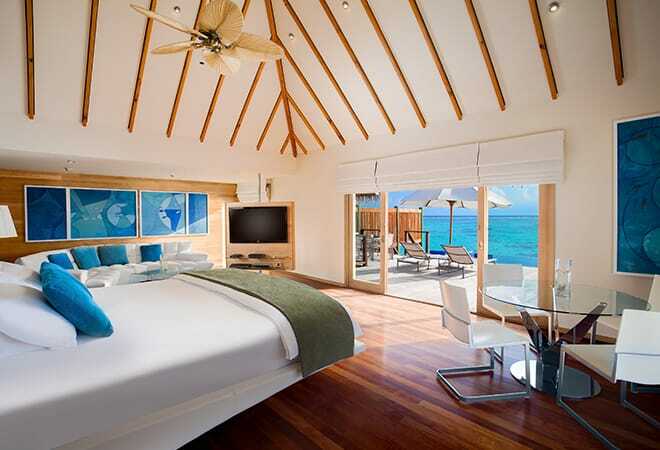 The Water Villas include modern amenities and a private plunge pool. It sleeps up to three adults. 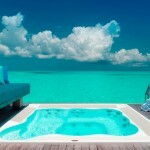 The Superior Water Villa (820 square feet) is a fabulous choice for a Maldives holiday, set over the Indian Ocean. 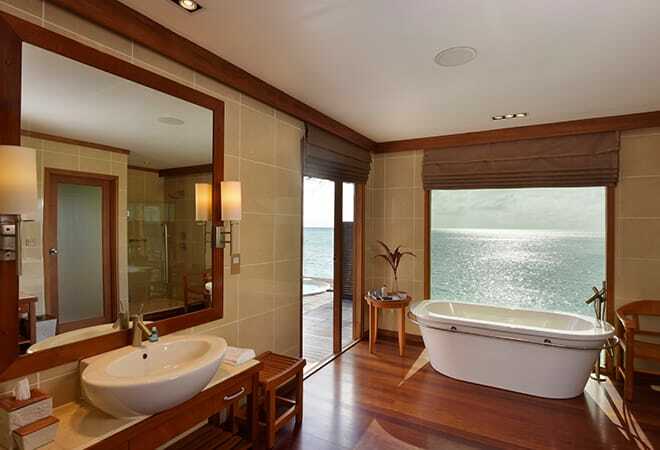 These villas are complete with a private sun terrace, Jacuzzi bathtub and ocean views to die for. In the evening you can enjoy sipping a cocktail while watching the sky prepare for night time. 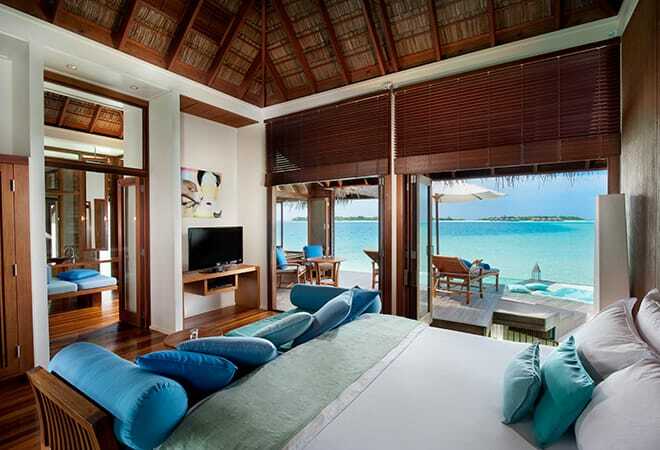 The Superior Water Villa can accommodate three adults. 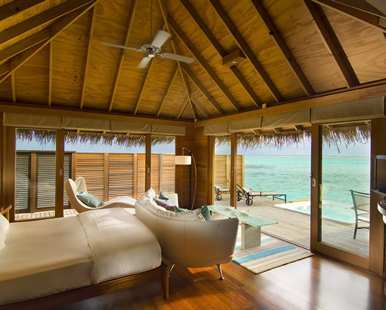 The Deluxe Water Villa (1240 square feet) is an impressive retreat for couples wishing to relax in a truly romantic setting. 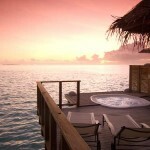 Your secluded sundeck features a large Jacuzzi, perfect for relaxing stargazing in the evening. 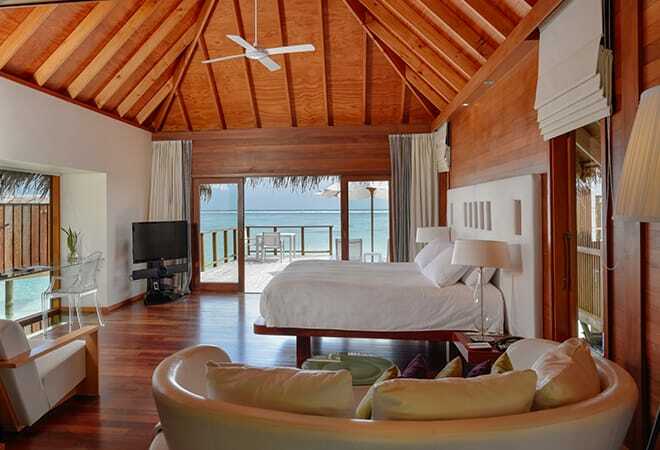 A wonderful sitting room, four-poster bed and glorious décor throughout make the Deluxe Water Villa the idyllic holiday setting. 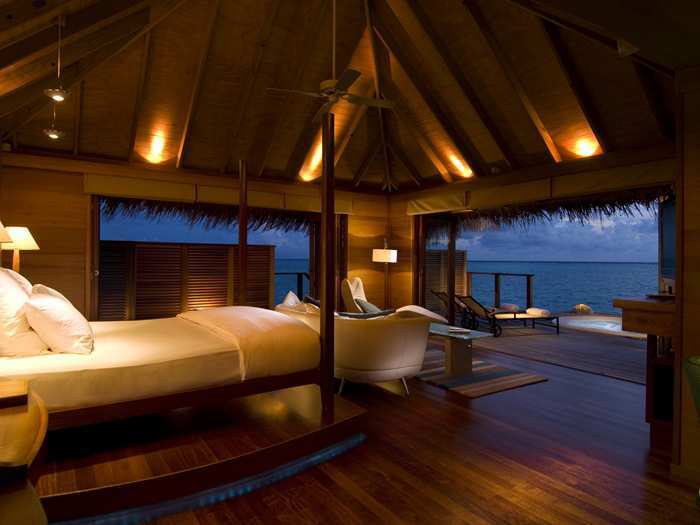 This water villa sleeps three adults. 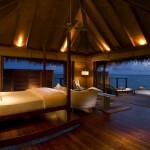 The Retreat Water Villas (1610 square feet) incorporates the beauty of its natural environment. They have an exclusive feel to them, standing majestically on stilts above the water and complementing the exotic landscape. 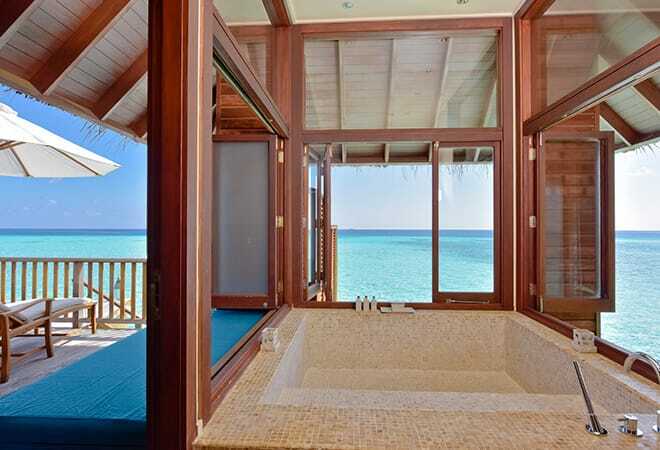 These villas feature a separate treatment room with views of the Indian Ocean, an outdoor Jacuzzi and a private sundeck for you to relax by. 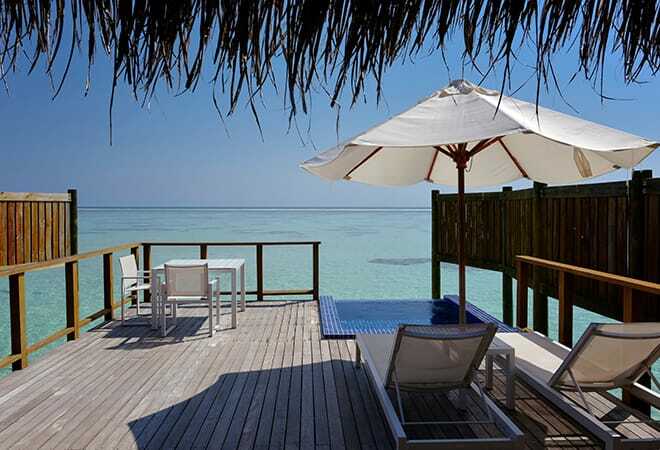 A stay in the Retreat Water Villa will remove all your stresses for good and add that little bit extra relaxation to your holiday. 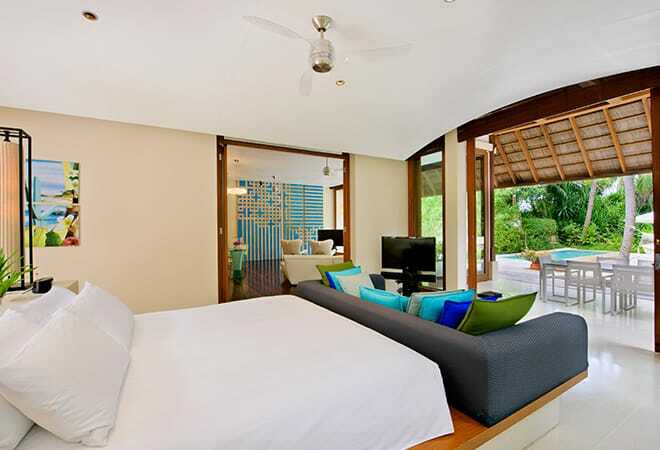 The Retreat Water Villa accommodates three adults. 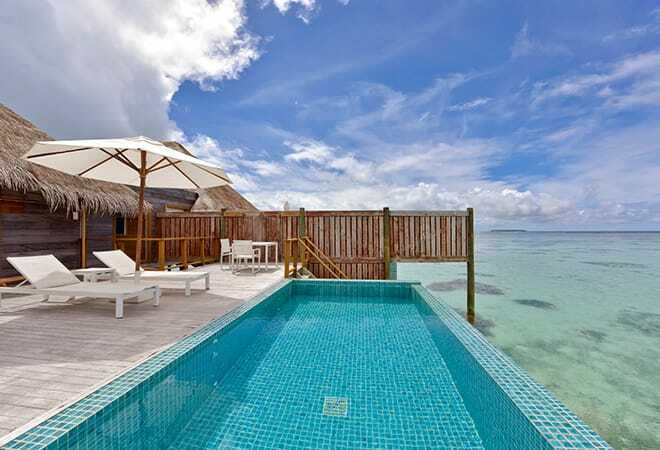 The Family Water Villa (1620 square feet) is set 100 metres off the tip of the island, this villa encompasses two separate bedrooms, a sun-kissed deck, luxury whirlpool and timber steps leading to the warm Indian Ocean. 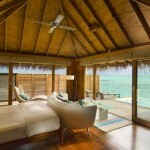 The Premier Water Villa (1640 square feet) is similar to the Deluxe Water Villa, but more spacious. 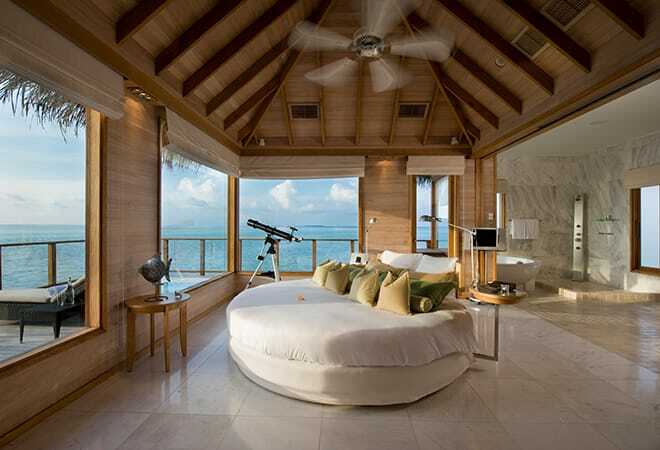 This Villa features a stunning ‘floating’ bed, large sitting area and a private sundeck with an amazing infinity pool. 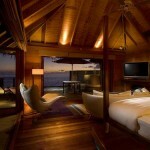 The Premier Water Villa is exclusive in all senses, offering chic décor and marvelous facilities. 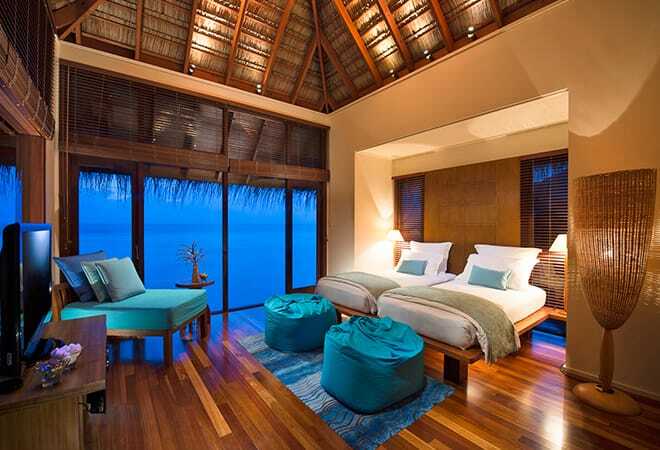 This water villa sleeps up to three adults. 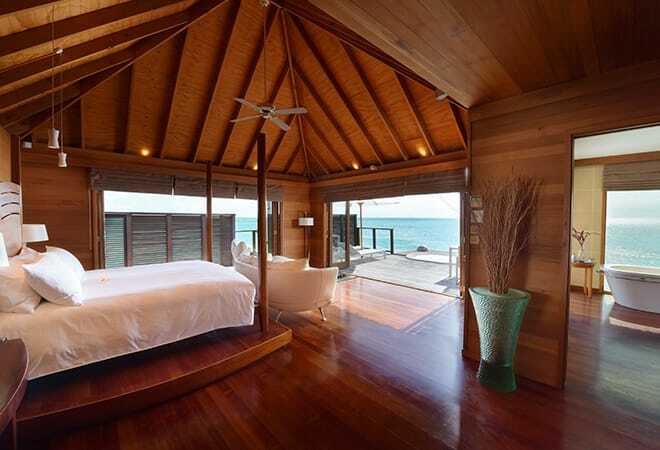 The Sunset Water Villa (4865 square feet) is made up of a two bedroom suite and is the ultimate choice for a truly luxurious experience. 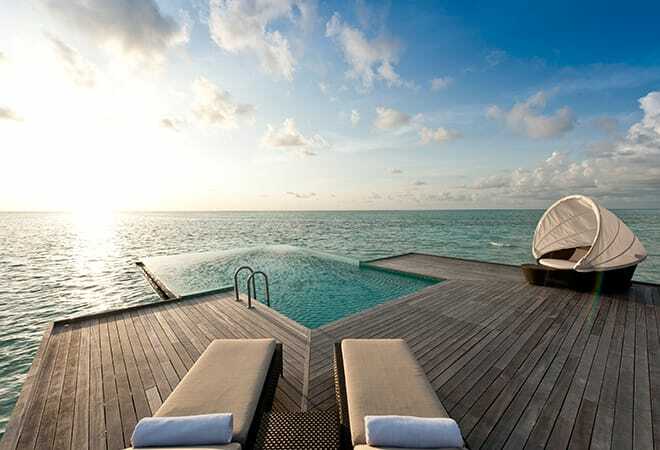 Providing the purest form of bliss of Conrad Maldives Rangali Island, the Sunset Water Villas boast your own butler, a glass-floor sitting room and an amazing private sundeck. 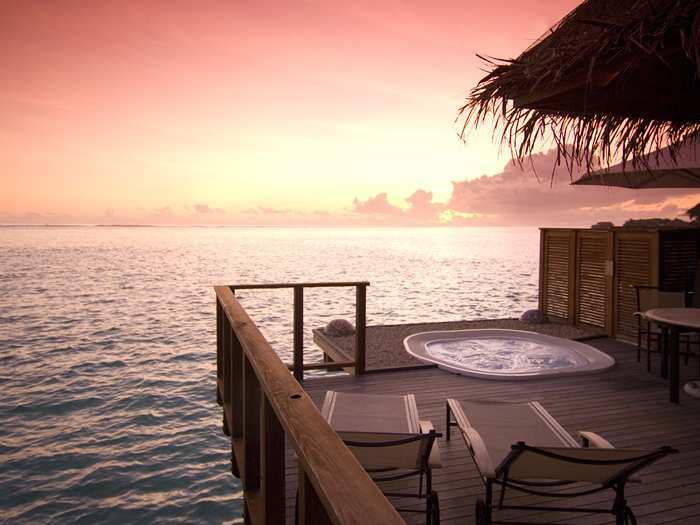 The captivating sunsets will take your breath away when you’re sitting in the Jacuzzi bathtub sipping on a refreshing drink. 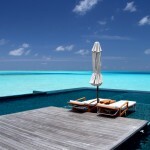 Start off the day with a dip in your own infinity pool before letting the Maldives sun dry your skin. 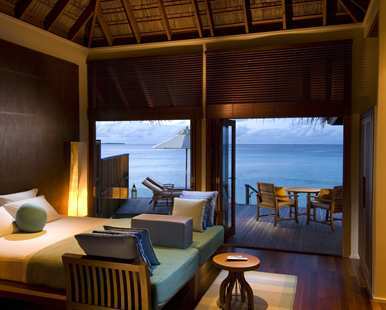 A stay in the Sunset Water Villa is the best of the best in luxury holidays. Up to four adults can sleep here. 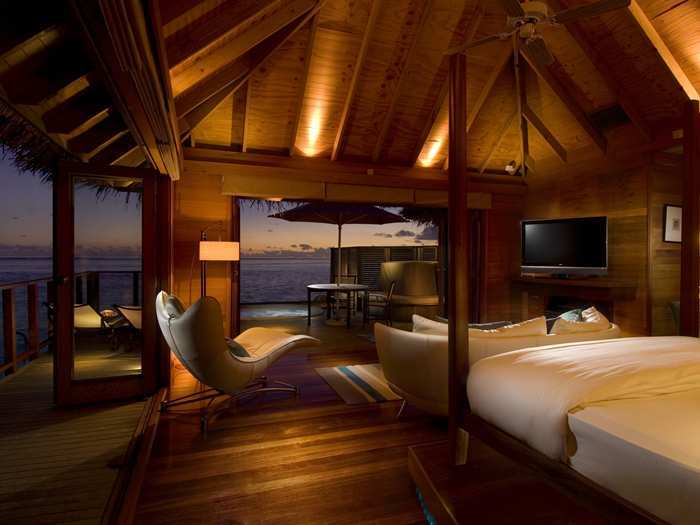 Conrad Maldives Rangali Island is a first class resort – with first class facilities and activities. The laundry service is efficient and if you want to spend more quality time with your loved one, there is a popular babysitting service available. If you ever get tired of the white beach and the crystal-clear lagoon, a visit to the boutique, beauty salon or the impressive library could be just what the doctor ordered. 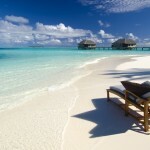 This resort also prides itself in being ideal for paradise weddings and offer a full wedding service. 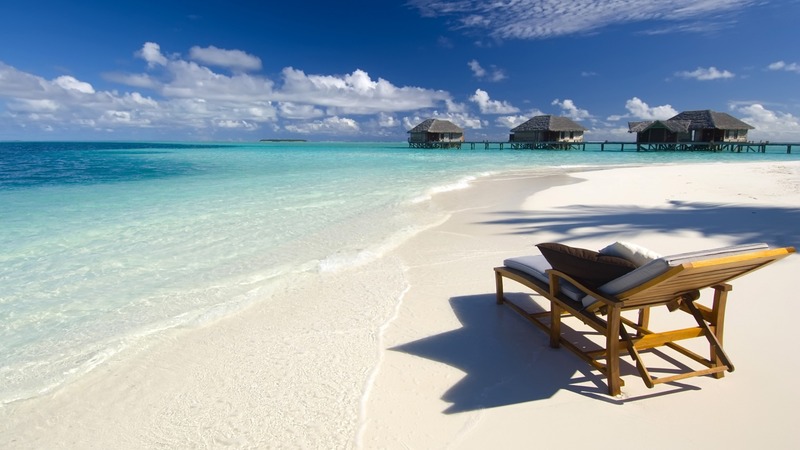 Conrad Maldives Rangali Island isn’t just about relaxing and pampering. From beach football, scuba diving, banana rides and canoeing to deep-sea fishing, we promise you will make simply wonderful holiday memories every day. 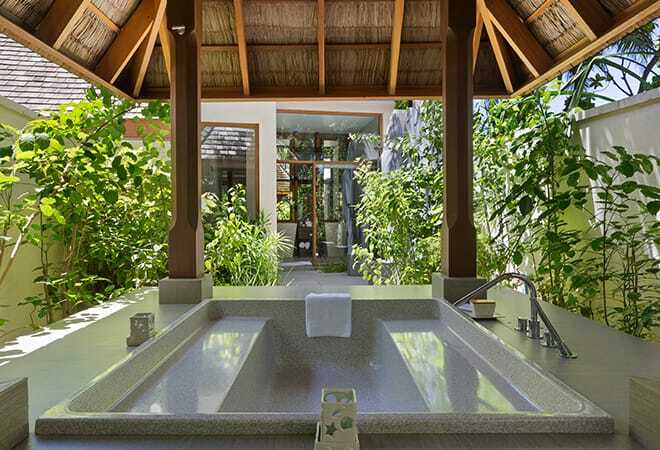 The Spa Retreat is one of the highlight of any stay at Conrad Maldives Rangali Island. 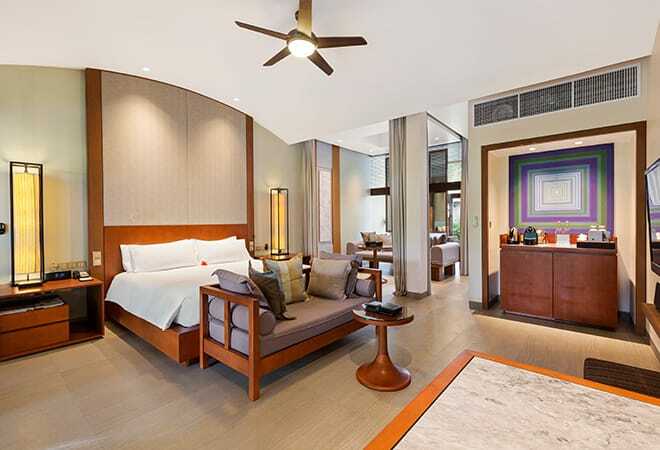 Boasting nine lavish treatment rooms, it’s almost like a resort in itself. 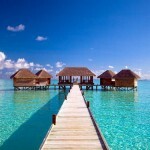 The Spa Retreat features 21 Spa Water Villas set on stilts in the amazing lagoon. 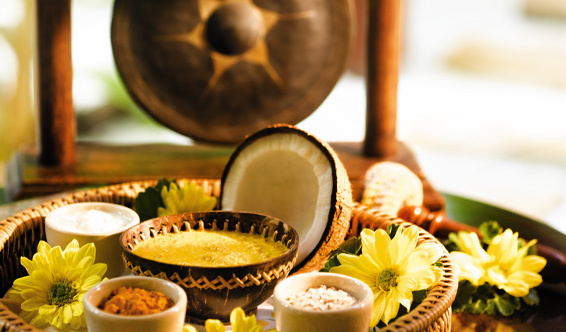 With lifestyle classes and a truly holistic experience of cuisine, it’s a lovely place to spend your holiday. The combination of the stunning ocean, relaxing whirlpools, steam room and marine-based treatments makes for a truly idyllic holiday retreat. Some would say that a holiday at Conrad Maldives Rangali Island would be nothing without the resort’s amazing restaurants with inspiring menus… Prepare for premium dining experiences in stunning surroundings. You can even try private dining on the beach. Atoll Market is located on the east side of the main island and has no less than eight specialist kitchens. 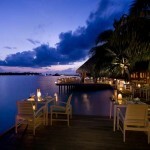 Complete with sandy floors and gorgeous lagoon views, Atoll Market is one of the most special restaurants of the resort. From Italian pizza and pasta to Japanese sushi, one can bask in the beautiful surroundings with some of the finest cuisine around. 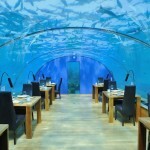 Ithaa Undersea Restaurant is simply unique. 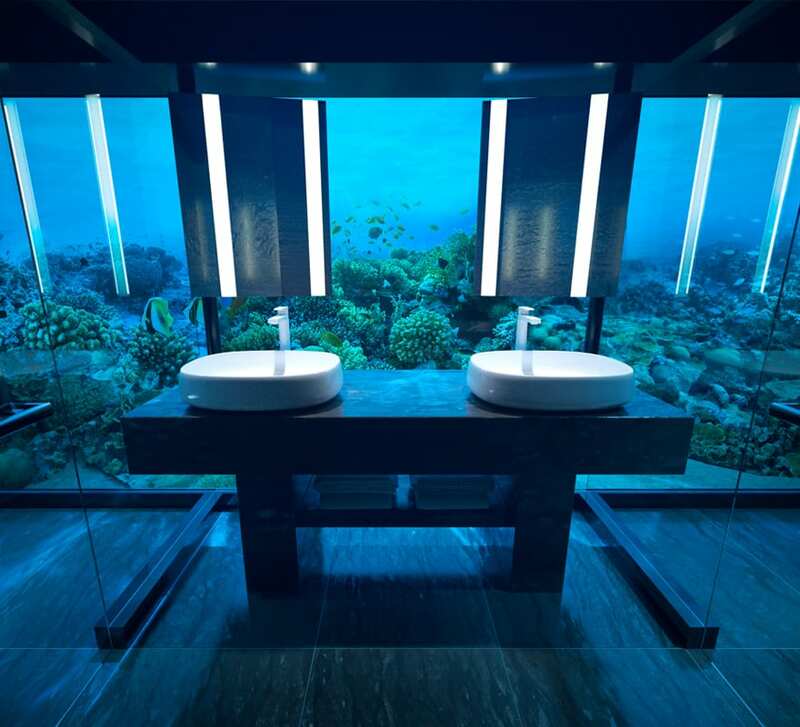 Encased in glass 15-foot below the surface, it offers unique close-up views of Maldives marine life. Maldivian-Western fusion dining, Champagne cocktails and inquisitive fish just inches away make this one of the most memorable dining experiences you will ever have. 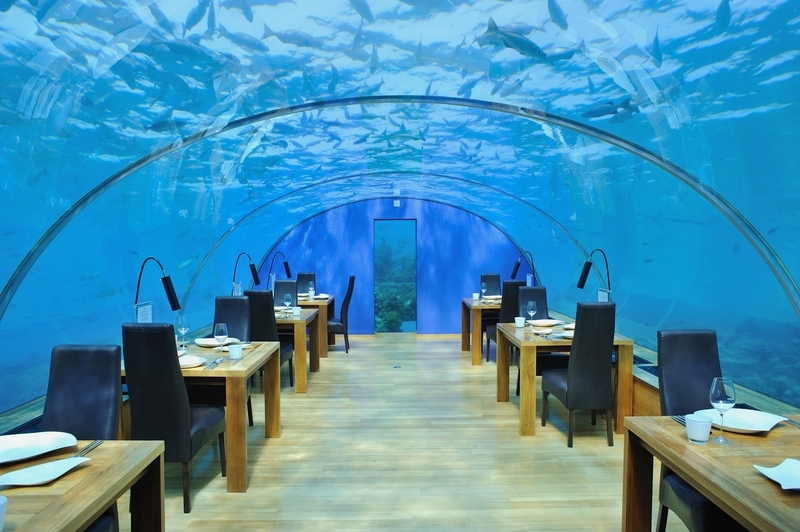 A stay at Conrad Maldives Rangali Island isn’t complete without a visit in the world’s first underwater restaurant. Koko Grill is the ideal dining place for sushi lovers. The professional chef will work his magic while you’re watching, eagerly anticipating your delicious meal. Boasting a Japanese water garden and being situated directly at the beach opposite the arrival lounge, Koko Grill only seats 12 people. 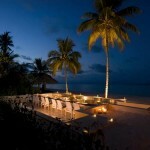 Mandhoo Restaurant is your venue if you want to feast on fully-organic cuisine. Set 110-yards out to sea on stilts, this restaurant offers freshly squeezed juices, sea scallops with lime and delicious organic delights. Sunset Bar and Grill is an open-air a la carte restaurant, set on stilts directly above the lagoon outside the east side of the main island. This is the perfect place to watch the sunset and enjoy fine wine together with your hearty meal. A dining experience doesn’t get much more exotic than this. The Wine Cellar offers a unique dining experience, being located six-feet below sea level. Choose from over 300 different fine wines and enjoy a five-course meal at your solid oak table for a dinner with a difference. 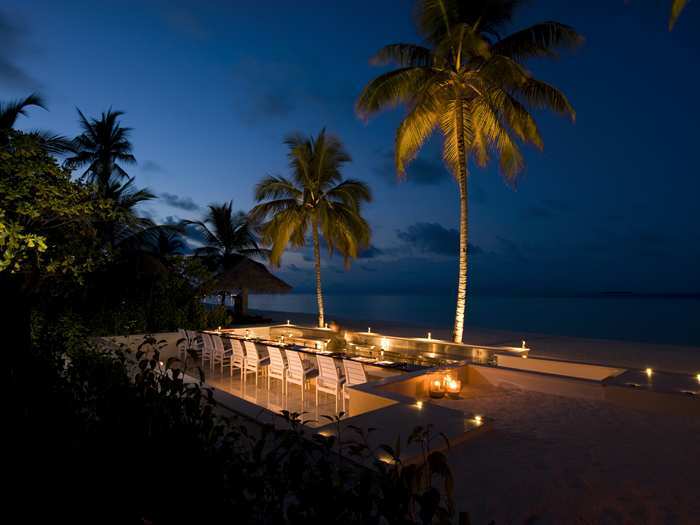 Vilu Restaurant is one of the finest of the resort. Gourmet cuisine prepared to world class standard, together with a fantastic selection of wines and amazing lagoon views make for an unforgettable time. The Mediterranean-Asian cuisine on the menu is perfect for a candle lit dinner, Sunday brunch or simply a breakfast buffet. 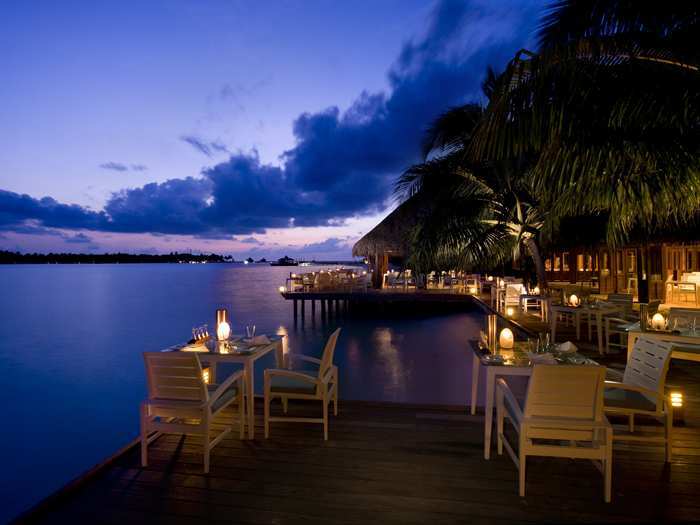 Vilu Restaurant is located adjacent to the fabulous Water Villas. There are also bars on-site. Rangali Bar, Vilu Bar and the Wine and Cheese Bar is where you can nibble on snacks, relax in day loungers and of course try an exotic cocktail. 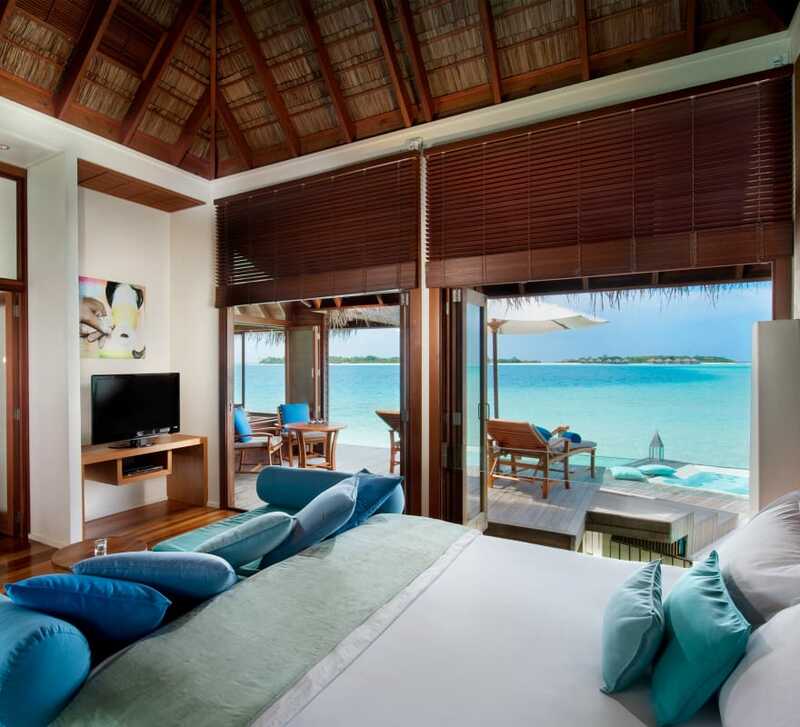 Simply Maldives Holiday offers a Bed and Breakfast Package and a Half Board Package for guests staying at Conrad Maldives Rangali Island.